With its spacious size and clean lines, the VIGO Magnolia Matte Stone Vessel Bathroom Sink installs easily on your countertop to become the focal point of your bathroom. Constructed from VIGO's signature Matte Stone PMMA, this sink is designed to be durable and resilient, with a scratch-resistant matte surface that looks like a work of art. Also includes the VIGO Blackstonian Vessel Bathroom Faucet in a rich antique rubbed bronze finish and matching pop-up drain. 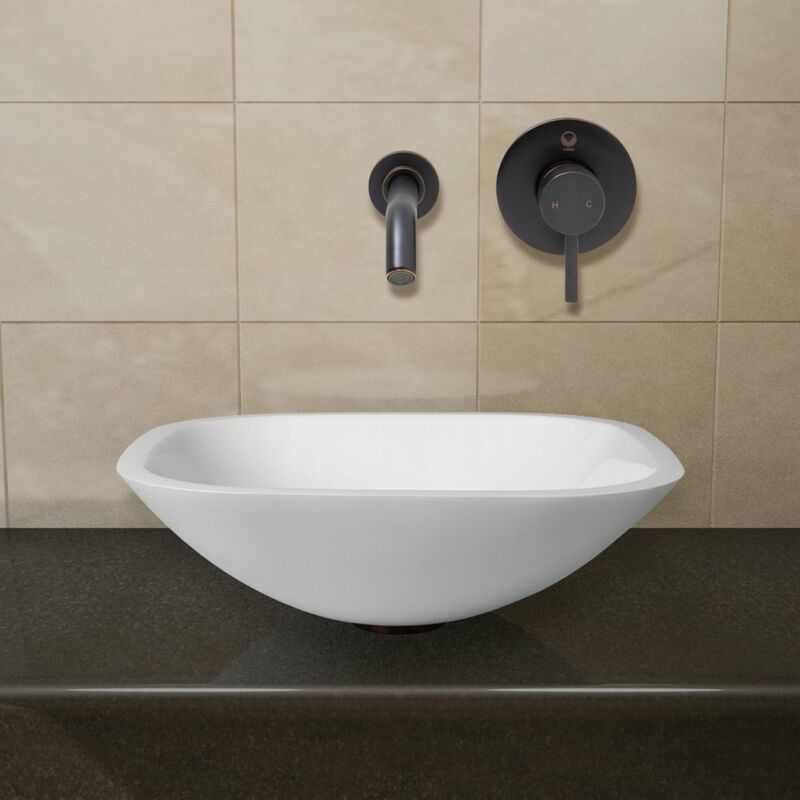 Spacious and sophisticated, the VIGO Magnolia Matte Stone Vessel Bathroom Sink makes a clean, contemporary statement in any bathroom. Solid core, seamless Matte Stone PMMA construction ensures this sink's durability and keeps it scratch and stain resistant over time. This bathroom sink set comes complete with the VIGO Duris Vessel Bathroom Faucet in a brushed nickel finish. The modern, angular faucet complements the rectangular bathroom vessel sink beautifully. Also includes a matching pop-up drain. Elevate your bathroom with the VIGO Magnolia Matte Stone Vessel Bathroom Sink. The countertop mount sink is crafted from VIGO's Matte Stone PMMA, making it scratch and stain resistant and durable over time. The included VIGO Niko Vessel Bathroom Faucet features a trough-style spout, creating a waterfall effect. Finished in a modern chrome, this faucet is sure to give a spa-like atmosphere to any bathroom. A matching pop-up drain is also included.